This Church Will Die Out In One Generation! “When you die, your epithet will say, ‘He was way ahead of his time, so no one understood him,’” was something one of my church elders once told me. The year was 1987. I’d just left my engineering job to become the full-time pastor of the Fellowship of Iranian Christians, the first Iranian Christian organization in the US. An organization I’d founded and been pastoring bi-vocationally for the prior ten years. Here I was an Iranian Muslim background believer (MBB) with no background or education in pastoring, let alone, a church consisting of first generation Iranian MBBs and Jewish immigrants. I was desperately in need of help, guidance and support, so I went to see my denomination’s overseer. “A church like ours is only good for one generation. The second generation Iranian Christians will be too Americanized to attend a Farsi speaking church. I believe it works better if the first generation Iranian Christians meet at homes during the week and on Sundays attend English-speaking churches. This was over 30 years ago. There was no Barna Group around. What I knew was a gut level intuition. 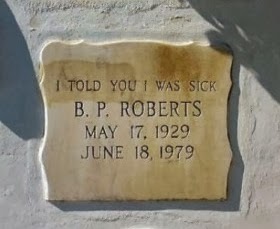 Some might even say it was a “prophetic proclamation”. What I didn’t know at the time was how very few people knew anything about the challenges that a group like ours was facing. Unfortunately, my American born monoculture supervisor was not among the few. In fact, I don’t believe he knew anything about other cultures let alone Iranian culture. So, he got up from behind his desk and escorted me out. By nature, most Iranians assimilate quickly into other cultures. In fact, some of the Iranian leaders have accused their own people of being like chameleons, changing colors at a drop of a hat. For the majority of us, this has made it possible to survive and succeed without having to rely on our own community. As it may, this gift, or curse of assimilation has made the US Iranians the third most educated minority group, and one of the most successful ethnic groups. In less than 40 years, we have accomplished what many other ethnic groups have not been able to achieve in 100 years. A few years ago, when my cousin graduated from the USC School of Dentistry, out of the 100 graduates, 30 of them were Iranians. More than 30 years ago, I encouraged my Iranian fellowship/church members to take their kids to English speaking churches, so they can be discipled in English. Some did and some didn’t. Of those who did listen to me, most their children (my own included) are still walking with the Lord. However, majority of those kids whose parents insisted that, “We are Iranians and we do things the Iranian way” have walked away from the faith. The same outcome is taking place in many Farsi-only speaking churches in America. The attendance is getting lower and lower—the first generation has either started to attend English-speaking churches, or is simply dying out. And as I mentioned, the second generation has either walked away from the church, or is also attending English-speaking churches. In fact, I dare to say that there are more Iranian Christians attending English-speaking churches than there are those attending Farsi-speaking churches. The Iranian churches that are growing are the ones that understood my predictions and are now having bilingual services—a service in Farsi to take care of the parents and new immigrants, and one in English reaching out to the second generation. From all I have seen, heard and studied, church attendance among English-speaking Americans is in decline. One of the most effective ways to keep the church alive is to reach out to immigrants. Many years ago, I developed a simple outline of how this can be achieved, but there haven’t been too many pastors willing to implement the system at their churches. Maybe the time has finally arrived? Maybe now, as a matter of survival and desperation, the American church needs to shift her paradigm by realizing our nation IS the greatest mission field God has given us. Face reality! You are not in Iran anymore. The Iranians in America are different than the ones in Iran. Rebuking and shaming our young ones for their lack of ability to speak Farsi will only push them farther away from the church. Like the sons of Issachar, (I Chronicles 12:32) understand the times and contextualize your approach in evangelism and discipleship. If you’re not capable of teaching in English, train some of your young members who are fluent in English to do so. This way, our second generation, who is teachable if they could understand the language, will not feel abandoned by the church. PS. For many valid reasons today, I’m much more open to having a church building, but I still believe in the above principles when it comes to the second generation. How Do You Disciple An Ex-Muslim? The Fellowship of Iranian Christians was the first Iranian Christian organization in the US. It was established over 30 years ago. Not long after I started the organization, it became clear that we desperately needed to train and disciple the new Iranian believers who’d left Islam to follow Christ. At the time, our leadership consisted mostly of a group of young Iranian college students who’d become believers in the US. None of us had any Bible training and all we knew about Christianity was what we’d learned from our American mentors. In other words, we believed in an American Jesus who taught in American style. Not knowing any better, we did exactly what Nelson tells us NOT TO DO. Over 30 years ago, we translated a series of 10 booklets entitled, “Christian Living” and went about discipling the new converts using western lecture style content dumps. However, I had a problem. Before translating them, I’d studied the booklets in English. Every chapter had made sense to me. My dilemma began once the booklets were translated into Farsi. The content became quite foreign to me. At the time, I didn’t know anything about cross-cultural ministries and even though, in my heart of hearts, I knew there was something wrong with our approach, I was convinced the problem was with the new believers and me. “After all, this how my American mentors are doing it, so it must be correct,” I’d tell myself. It took me over 20 years to finally figure out what the problem was. Let me draw you an analogy in hope of making the above confusion clearer to my readers. About 30 years ago my wife, Karen, was studying at UCLA. To fulfill her requirements, she needed to complete two semesters of language studies. At the time, she was engaged to a very handsome Iranian, me, so she chose Farsi. Within two semesters, thanks to an excellent English-speaking teacher who knew how to teach Farsi as a second language, Karen became rather fluent in reading, writing and conversing in Farsi . Now, let’s fast forward to 15 years later. By this time, we’re pastoring an Iranian church. Feeling the need to brush up on her Farsi, Karen decided to take some Farsi classes at a nearby Persian school, where Iranian teachers taught Farsi to many English-speaking students. 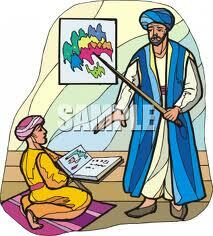 Having made a grave assumption, the Iranian teachers were extremely unsuccessful in teaching Farsi to these students. They assumed they could teach Farsi to an English-speaking student the same way they taught it to a Farsi-speaking first-grader in Iran. You see, by the time he made it to the first grade, the Iranian student, who’s spent all his life immersed in Farsi, knows how to speak the language. In first grade, he needs to know how to read and write the words he’s been speaking all his life. To assume that an average American who’d never been exposed to the language can be approached the same as an Iranian first –grader is where those teachers went wrong. For example, after teaching the American students the alphabet, the students who didn’t even know that Farsi was written from right to left were required to practice writing the word, “Aab” (One of the simplest words in the language, which means “water.”) In doing so, the teachers completely overlooked the fact that, to start with, most students had no idea what “Aab” was. Drawing some parallelism from the above analogy, the problem with my discipleship approach was a small oversight on my end. The booklets were written for western believers who’d been immersed in a culture, which was much more familiar with Christianity than the average ex-Muslim. For instance, the title of the first chapter of the first booklet in the series was, “Who Is Jesus?” After reading the chapter, the brand new believer was supposed to answer a series of questions. The first question was something like, “According to Isaiah 53, what kind of Messiah should the Jews have expected?” To most American believers this is not a very difficult question, but not so with most Iranian MBBs. Suffice it to say, depending on the student, at this point, I had to spend the next several hours, days or even weeks to talk about the relationship between Judaism and Christianity, the Old Testament and the New Testament. Something that was totally fruitless and unnecessary at this point. Why is it that important for a Muslim who’s already made the decision to become a follower of Christ to know that Jesus is the promised Messiah of the Jews? At least at the start, this is not a question that the ex-Muslim is preoccupied with. Not to mention the fact that most Muslims are raised with an inherent prejudice towards Jews. So, why make things more complicated? Once the new believer is grounded in the New Testament, he is more prepared to discover the Old Testament roots of the New. Some Western Christians are quick to say, “Well, now that he’s a Christian, the ex-Muslim most stop hating his enemies. After all, this is what Christianity’s all about.” To which, I say, AMEN. So, what our ex-Muslim friend needs is not a proof of Jesus’ Messianic claims, which can be categorized as, “Classical Theology”, but learning how to live his life more like Jesus, which is called, “Practical Theology” or “Spiritual Formations”. In my own personal life, I learned more about God’s love and experienced more of his presence in the hours of practicing Lectio Devina (divine reading) than many years of book learning at a seminary. NO, I am not against book learning. There’s definitely a place for “Classical Theology”. But, this should be done after the new believer has become more immersed in his new faith by learning how be like his Master. To assume that discipling an MBB can or should be done the way a westerner is trained is just as misguided as the path the above Iranian teachers took in teaching their American students. The American students first needed to learn how to speak Farsi before they could write in Farsi. The MBB first needs to walk like Jesus before he can debate with the Pharisees. After all, it is not his perfect theology that will draw him closer to his Creator, but walking in his Savior’s footstep and practicing what Jesus practiced. One last thought: Today, the western church is facing a postmodern generation, which is quite ignorant of the Bible and Christianity in general—very much like new Muslim background believers. In my humble opinion, it is far more fruitful to disciple the new western believers through “Practical Theology” than the old-fashioned lecture style content dumping. Now that I have your attention, contact me so we can talk about how to make disciples for Christ out of ex-Muslims or American believers at your church or organization.